Discover how you can convert equity in your single family home investments into the bigger game of commercial multi family properties that generate much high cash flow, much better upside opportunity and are much easier to manage so that you can get closer to your goal of financial freedom. It’s common for residential real estate investors to sell a single family home and buy a duplex, triplex or quad. And while that can slightly improve one’s path to economic independence, it’s still remaining in the residential investing realm which is not nearly as lucrative. In this training, you’ll learn how one of my Proteges sold his two single-family home rentals and purchased 34 apartment units which increased his cash flow by $2,677/mo and instantly gave him an additional $275,000 in equity. 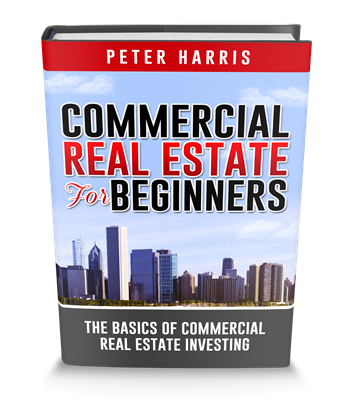 This training could also be called “Playing a Bigger Game” because that’s what graduating from single family rentals to commercial multi-family investing is all about. To play a bigger game in anything, in life, in business, three things must happen. Number one is you must get with someone who’s already playing the bigger game that you wish to play. Perhaps that’s why you’re watching this video. Number two is, you need to get out of your comfort zone. If you want something that you don’t have now, you have to do something that you’ve never done before, correct? Number three, you must take bold action. Life rewards action. If you want a big change in your life, or accomplish something great, that’s going to take a little bit of risk. In our company, we take educated or calculated risk, measured risk, that’s the difference and that’s the key. In this video, I will share with you how one of our students sold his two single-family houses with some equity, but he had very, very little cash flow, $100 or $200 a month, very, very minimal, but he had decent equity and he traded that into 34 apartment units for more cash flow. Not only more cash flow, but 14 times more cash flow, and a ton more equity. What did those two things get him? It brought him closer to his goal of financial freedom. Let’s start off with the problem. This is our student’s problem in this case. As I go through this problem, see if you can relate to his problem, maybe this is you too. The problems were two-fold. Number one, he held a bunch of single-family home rentals, most of them had equity, but very little cash flow. Lots of equity, very little cash flow. If that’s you, listen up. His second problem is he felt stuck in buying single-family home rentals because he had equity but very little cash flow, and it wasn’t helping him achieve his goals of working less in his professional job, and doing more commercial later. He was stuck in single-family homes, and stuck what to do, does he buy more? What does he do next? He came to us with these two problems. By the way, I don’t recommend books very much in my videos, but there is a great book, and I’m going to share with you, it’s going to help you if you’re stuck in your business. It’s called How to Get Unstuck by Matt Perman, it’s an awesome book, and it really helps you identify where the barriers are, mental barriers and habits, and helps you get unstuck. Now back to these two problems. Single-family homes, lots of equity, little cash flow, he felt stuck because his program of buying single-family rentals were not helping him get financially free, just wasn’t. Does he buy more? Or what’s next? That’s when we came in as his advisors and as his mentor. Why is having this problem, acknowledging this problem so important? The reason why it’s so important is called opportunity costs. Okay? Opportunity costs, which is the benefit an investor, our student in this case, misses out on when choosing another investment over another. Basically, what was his single-family home rentals costing him in opportunities. As he chooses to invest more and more in single-family, what was he missing out on? I can tell you he was missing out on, right? After nine months of focus and hard work, he discovered that he was missing out on increased cash flow, increased equity, increased net worth, and playing a bigger game, that’s exactly what he was missing out on. Now, there is a solution to these two problems. I am going to model the solution for you in this next part of the video. See you there. Here we are at the solution. This solution is a working model for you, if you have a single-family home with equity, maybe negative or no, or zero, or small cash flow, this is what you can do. This is a working model, this is exactly what our student did. The first part is to prepare and sell your single-family homes. Let’s stop there. What do I mean by prepare? What I mean by prepare is, on your single-family home, you just can’t sell it. You have to get it ready, if it’s raggedy looking, or if it needs repairs, or it needs some type of attention, take care of that so it can show the best. Hire an agent, do your research on sales [inaudible 00:06:44], and lastly get help, get an advisor, someone who’s experienced with these type of things. That could be us, but if it’s not, get someone you trust and knows what they’re doing. The reason why is because this next step from a single-family home into a commercial deal most likely is your biggest investment ever in your life. Don’t do it by yourself, get help. All right? Then you sell your single-family homes. Number two is you’re going to sell using a 1031 exchange. 1031 tax-deferred exchange strategy. I want you to google that and look it up later. But basically, the 1031 is an IRS tax code that us, real estate investors, really really like. Here’s why we like it. Whatever profit we make from the sell of our property, if we take all that profit, all the equity and we move it into the next property, a larger property, we can do that and not have to pay capital gains taxes. We can actually defer it and use all that to grow our portfolio. So long as we take all the equity at close, we won’t have to pay capital gains, we can just trade it up, and continue trading up to the next larger and larger and larger and larger property over the years. It’s the phenomenal way of increasing your wealth, phenomenal way of building your portfolio of commercial real estate. Look it up. This is what we had our student do. Next is, I’m going to give you a before and after illustration of what happened. This row here pertains to the single-family homes, this row here pertains to his 34 units. Here’s what happened. He bought his two single-family homes for $360,000. He sold it for $625,000 seven years later. And he made $265,000 roughly. Then, at the time he was cash flowing about $100 to $200 per month, very, very small. That’s the before. Here’s the after. Once he sold it with a 1031 exchange property, he found a 34 units, end up buying a property, a 34 units, for $1.225 million. He used the entire $265,000, that was about 20% down payment, to buy the 34 units. All right? Now, [inaudible 00:09:13] following here, over the next nine months, he increased the NOI by $22,000. Roughly over the next year or so he increased the rents overall by $50 a month per unit. Not a stretch, pretty reasonable. As you know, in commercial real estate, you’ve seen this in my other videos, as the NOI goes up, guess what else goes up? The property value. That’s why the NOI is very, very powerful. Watch this. This $22,000 NOI, net operating income, increase if you divide it by the market cap rate, in this case was 8%. So $22,000 divided by 8% equals $275,000 in increased property value, in increased equity. What he did was he forced the equity upward. You can’t do that with single-family homes, only with commercial. That’s the power of the NOI. A $275,000 increase in nine months compared to a $265,000 increase in a single-family homes in seven years. You see the difference, you see the power of the NOI, what it can do for your cash flow, for your net worth, and for the property value? All right. That’s exactly what it can do. The last thing I’m going to share with you here was what happened to the cash flow. Before he was making $100 to $200 per month, now he’s making $2,877 per month, almost a 14 times increase in cash flow going from his two single-family homes into 34 apartment units. Now, I’m going to show you a picture of his apartments. On the screen you see a picture of apartments, so you can take a look at it and see there’s nothing special about it, it’s pretty nice looking, but it sure performs a lot better than his two single-family homes. All right. Okay. Now, how I want to summarize this is, if any of you out there are sitting on single-family homes with equity, maybe it’s not performing well in cash flow, and the reason why you should consider selling is, is it bringing you closer to your financial goals, financial freedom, working less at a job, having security just in case you lose your job.